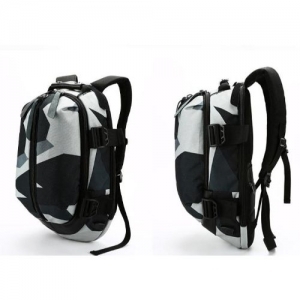 · ROVE TURTLE because its in a shape of a turtle , and its geometric camouflage design gives it an trendy look and which stands out from any other bag in the market . 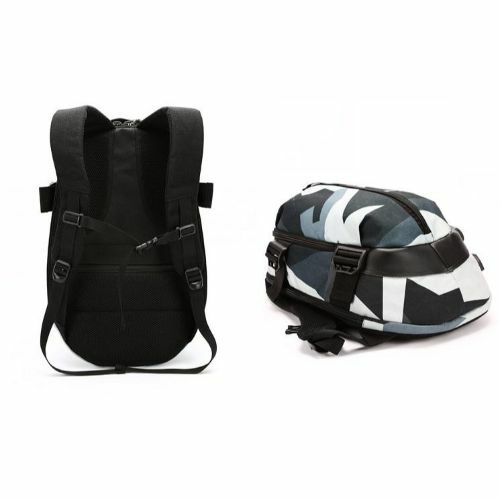 · Not only looks but the material used is also of a top notch quality . · The straps are made with pure Italian leather . · The logo on the shoulder straps is reflective. 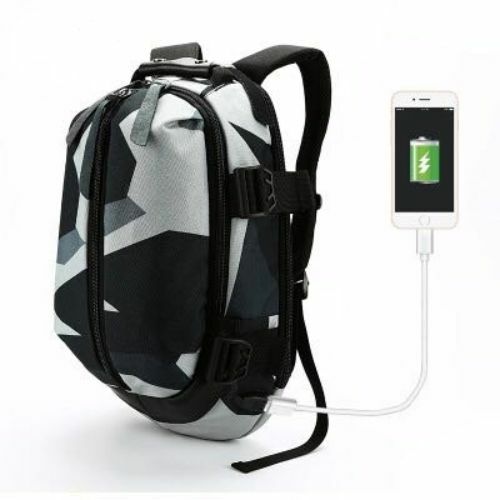 · The USB charging slot is given so that you can charge your phone on the go and don’t have to cary your powerbanks in your pocket , just connect it and throw it in and you are good to go . · Back U-shaped three-dimensional ventilation design help for the air convection, ventilation and heat elimination. 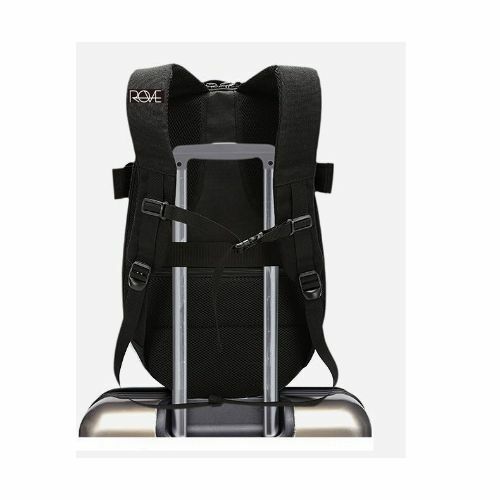 Comfortable wide breathable mesh shoulder straps with plentiful sponge pad help relieve the stress from your shoulder.